Yet three months after building was supposed to start work, it just lays bare and baron. 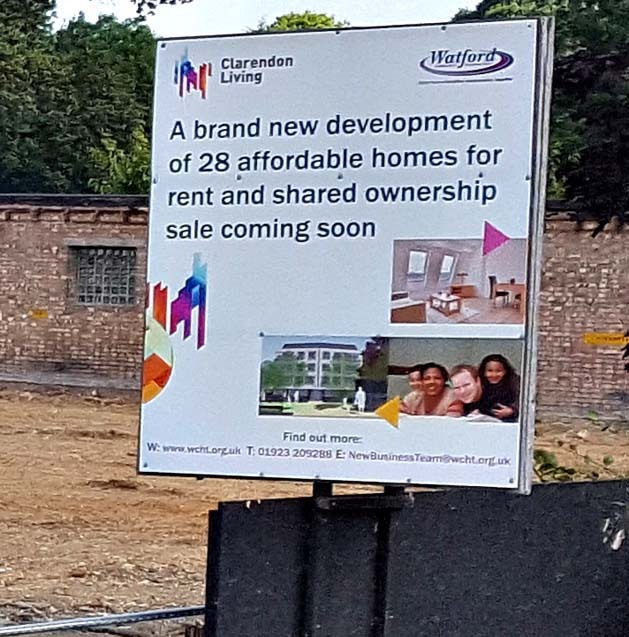 Watford Community Housing Trust have taken ownership of the former North Watford Police station. The Trust has appointed Life Build Solutions Ltd as their building contractor and demolition work started on site in May 2016. The project is due for completion November 2017. 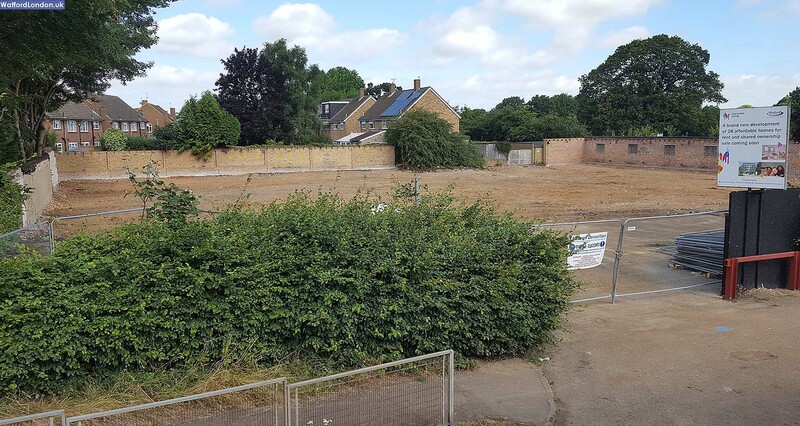 Watford Borough Council approved the trust's plans for North Orbital Road last December and the official land completion will take place next Tuesday. Hertfordshire Constabulary moved out of the old building and into offices in Shady Lane in November 2013. The scheme contains fourteen homes for affordable rent ( 2 x 3 bed houses & 12 x 2 bed apartments) and 14 homes for shared ownership (10 x 3 bedroom houses and 4 x 2 bedroom flats). The designs are based on using the existing slip road from the North Orbital Road for vehicle access. A secondary smaller access way onto Leveret Close is proposed to provide additional pedestrian and bicycle access to local community facilities. The planning application was submitted in August 2015 and was approved 10th December 2015. Residents had argued the application was an overdevelopment and the 34 parking spaces that will be provided won't be enough. In a letter to the council, they wrote: "The foot of this building is only 48 metres from the back wall of our property, so you can visualise how overpowering this will feel to me and other families, and the school. "The other area of concern is the likely increase in parking. "All in all, we feel overpowered by this planning application and are worried how overbearing this will be for us in the future." Contact the Project Manager, Patrick O'Sullivan on patrick.o'sullivan@wcht.org.uk or on 01923 209223.